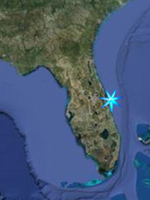 Each year between late Decmber and late April, American shad migrate from the Atlantic Ocean into the St. Johns River to spawn and reach as far south as about State Road 50 on the South end of Titusville Fl. While they are primarily plankton eaters they will hit small jigs and spoons, and can provide exciting action on light to ultralite tackle as they fight somewhat like a small tarpon, taking to the air. Due to the size of the lures used, the same light to ultralite tackle used for crappie and panfish works best for these members of the herring family. Start out with a Shakespeare Ugly Stik Lite with ultralite action, 5'6" rated for 4-8 lb line, Model SP1156-2L. 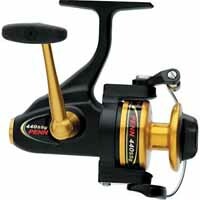 Match this with a Penn 420ssg reel or equivalent and spool with 4 to 6 # line. Below is just a sampling of the lures that will catch shad in the St John's during the spawning run. Shad will usually be in the deeper channels of the river as they prefer water about 6-8 feet in depth. So with all of these lures, cast, into the channel, let them settle to the bottom and them work them slow and deep. 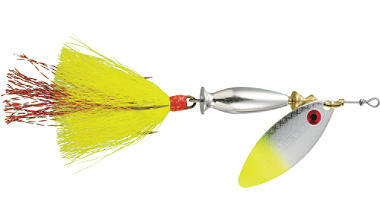 Shad Dart; These small jigs were designed with shad in mind but will actually work for a variety of fish. Comes in sizes ranging from 1/16th to 3/8th of an oz. For shad, Try thr two smallest sizes, 1/12 and 1/8 oz. Acme Kastmaster Spoon; These come in sizes as small as 1/12 oz. and up to 4 oz. Try the 1/12th and the 1/8th oz. models. This company has been in business for over 50 years and this is one of their classics for many species of fish. 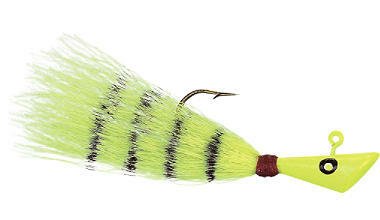 Mepps Deep Runner Spinner; These spinning lures by Mepps are designed with extra weight in order to provide better casting and to stay deeper on the retrieve. Comes in 5/8 and 1/2 oz. Try the smaller one. Cast and reel slowly as the spinning of the blade provides the action and vibration that attract fish. The Space Coast is not reknowned as a catfishing mecca. The larger species of catfish, the flathead and the blue, are found primarily in North Florida. The largest species here is the Channel Cat which reaches a maximum size of about 45 lbs. The average is 2-4 lbs. The most significant runs of channel cats along the St John's River occurr farther North in the Palatka area. The world record for white catfish is 18.8 lbs, caught in theWithlacoochee River, Marion County, Florida, in 1991. However the average white is about 2-3 lbs. So while we don't have the moster flathead catfish here, we do have the raw ingredients for a great catfish and grits breakfast here along the Space Coast, in channel cats, white cats, yellow and brown bullhead. The same tackle used for Largemouth Bass should do the job. Rod; Shakespeare Ugly Stick, 6 foot, rated for 8-20 # line, Model SPL11060. Reel; Penn Spinfisher SSG Graphite 450SSG, Spooled with 12 to 15 # mono line. Catfish primarily feed along the bottom and will take a variety of baits. The two smaller species, the brown and yellow bullheads, can be easily caught on worms, prepared stinkbaits, chicken gizzards and cut baits, as can the channel cats, while live baits such as minnows and worms account for more of the white catfish taken. Rigging your terminal tackle for catfish is pretty simple. For most species you want to fish on the bottom. 1; The first step is to cut a length of line of about 18 to 24 inches for a leader. A shock leader is not required, the main purpose here is to keep the weight separate from the hook. 2; To one end of this leader use an improved clinch knot to tie either a 1/0 circle hook (Far Left) or a #1 baitholder hook (2nd from left). Use the circle hook of you are going to use part of or a small whole fish or another fairly tough bait. Use the baitholder hook for multihooking a nightcrawler, stink bait, or chicken gizzard. the tiny barbs on the shank of the hook will help to keep the bait on. 3; To the other end of the leader tie a barrel swivel, again using an improved clinch knot. 4; Thread the line from your rod through the hole in the middle of the 1/2 ounce egg sinker. Slide the sinker up the line far enough for you to tie the fishing line to the swivel. 5; Tie fishing line to the barrel swivel. When you are done, the sinker should slide freely from the swivel up your line. You want to be able to do this so that a channel cat will not feel any resistance when taking the bait. This is known to make them drop the bait. So now you can bait your hook and cast into nearest fishing hole.